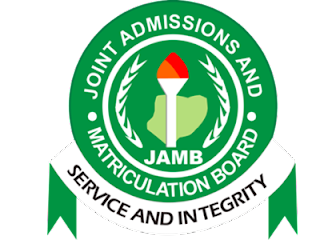 The Joint Admissions and Matriculation Board,(JAMB) Approves 641 CBT Centres For Registration and Exam for 2018 UTME. Unified Matriculation Tertiary Examination (UTME), the Joint Admissions and Matriculation Board (JAMB) has approved 641 Computer Based Test (CBT) centres nationwide to handle registration and conduct of the examination. The approved 641 CBT centres met the over 24 new requirements and guidelines for registration. The list is dominated by universities, polytechnics and colleges of education. The approved CBT centres are across the 36states, including the Federal Capital Territory (FCT), with 22. Lagos tops the list with 60, followed by Kaduna 36, Ogun 32, Abia and Nasarawa each 27, Kano 26, Anambra and Edo 24 each, Osun and Plateau 23 each while Imo and Oyo had 22 centres each. Yobe and Kebbi had the least with two CBT each. Others include Adamawa, Jiagwa, Zamfara, Sokoto, Borno eight each, Akwa Ibom seven, Bauch, Cross River Bayelsa and Benue 11 each, Delta, Ondo and Rivers 15 each, Ebonyi, Taraba 12, Ekiti, Kogi has 10, Enugu 19, Gombe, Katsina has 13, Kwara, 21 and Niger, 14. The image-maker of JAMB, Dr. Fabian Benjamin, confirmed the approval of 641 CBT centers to handle the 2018 UTME registration and the conduct of the matriculation exam. He told Gurunaija that JAMB management has not fixed a new date for the registration of 2018 UTME and said the reason for the delay is that the board is expecting some writing texts from the publisher. Among the requirements and guidelines includes provision of 250 functional desktop computer systems or Laptops with 25 backups, provision of individual cubicle with minimum length of 26 inches, breadth of 18 inches and height 18 inches, 15 inches flat screen computer monitor for desktop, 2GB RAM for all computers, all systems must be connected to robust computer server with capacity to carry a minimum of 250 computers. Others are computers must be linked together on cable local area network, adequate security, two technical personnel and one engineer, back-up power supply, CCTV must be cabled, no wireless #CCTV will be allowed, use of JAMB custom Brower which must be downloaded from the website of #JAMB and installed in all system. In 2017 exercise, JAMB management sanctioned 71 CBT centres for various reasons, Abia top the list with 13, followed by Rivers 10, Anambra nine, Imo, Delta and Akwa Ibom recorded six each while Lagos had two. The sanction for 71 CBT centres include been delisted for misconduct, gross technical deficiencies while some suspended for one year for technical deficiency.